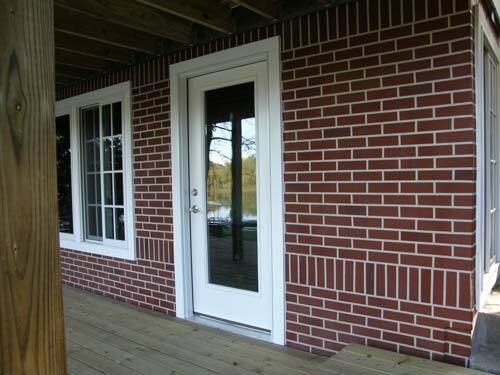 Brick – a classic material that works in so many settings. This look was the request of a Union, Michigan homeowner for the rear of his house. “Look” is the operative word, for only a closer examination would reveal the truth behind this “newly laid” brick wall. 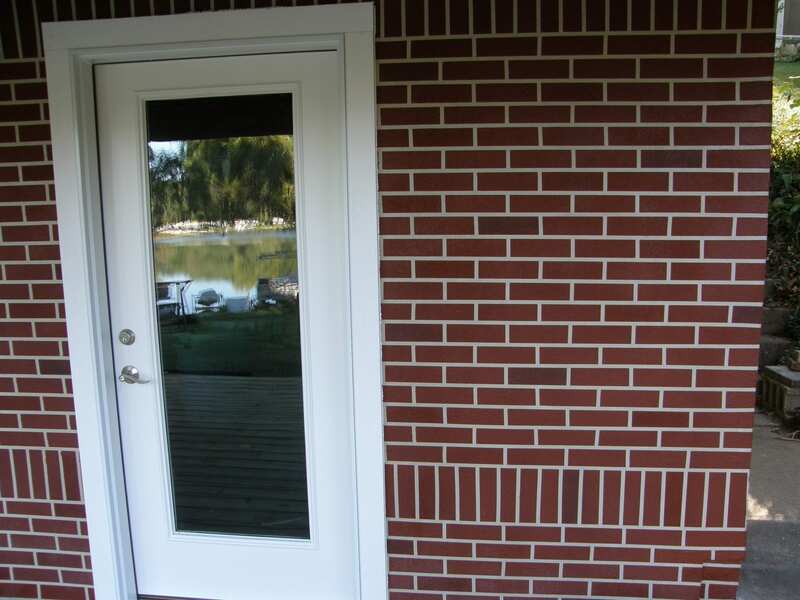 The team from Bontrager Concrete created this faux brick patterned wall that became the envy of the neighborhood. 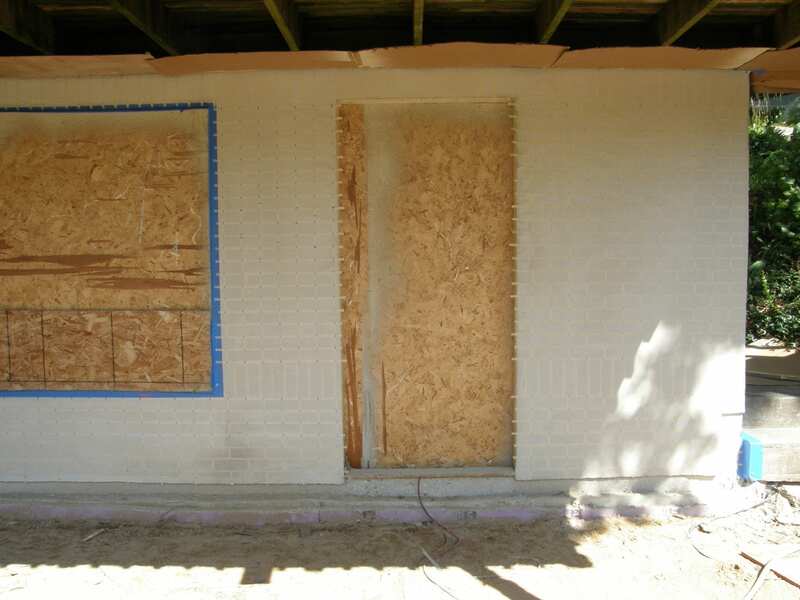 Before the faux brick “laying” could commence, the OSB (particle board) wall had to, first, be prepped to receive the hybrid stucco product that was to be applied. They used Elasto-Shield, an elastomeric waterproofing liquid membrane available through SureCrete Design Products, to coat the OSB and provide a uniform waterproofed surface. 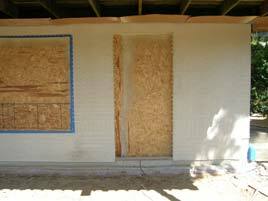 The first coat of Wall Spray was colored with Limestone color packs. 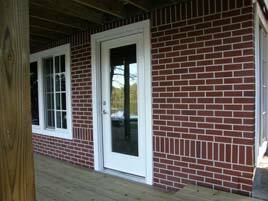 This provided a base coat as well as the “mortar joints” for the bricks. Next came the most challenging and time consuming process: taping off the faux bricks. A laser level was used to insure each line would be perfect. 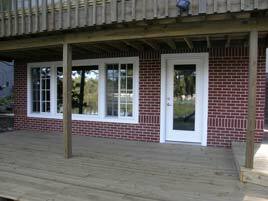 Once the faux bricks were tapped off, the second coat of Wall Spray was sprayed on; this coat contained Redwood color packs. Each faux brick was highlighted with Espresso and Magnet Eco-Stain to give a more genuine appearance. 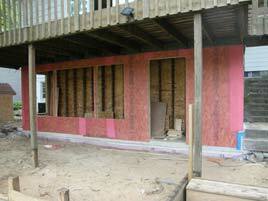 The tape was then removed and the faux brick wall was ready to be sealed. Bontrager Concrete’s sealer of choice is HS-240 Premium Low VOC Clear Concrete Sealer, by SureCrete. 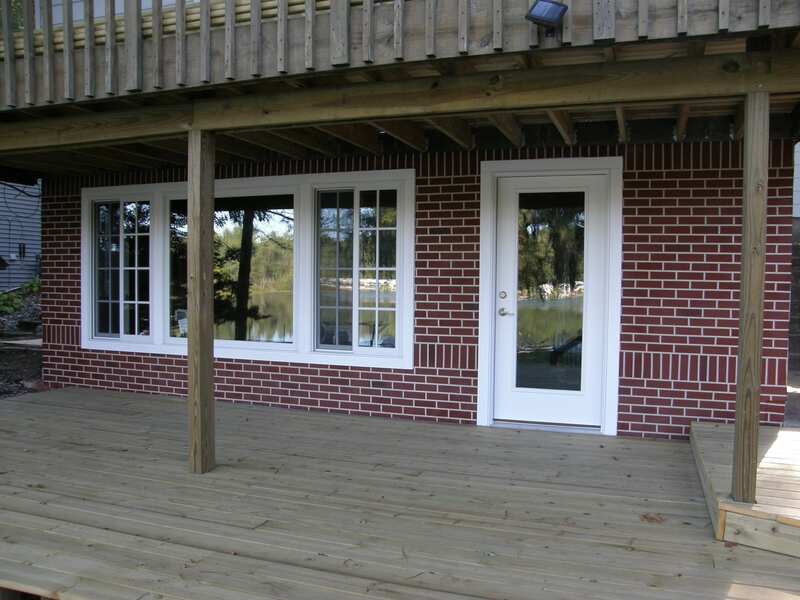 HS-240 provides this wall with UV protection, additional waterproofing, and durability. 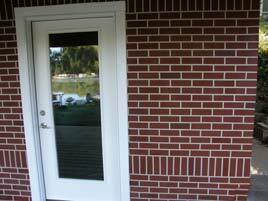 Two coats of sealer were applied: the first in a gloss finish and the second, so as not to have shiny bricks, in a satin finish. With that the faux brick wall was complete!